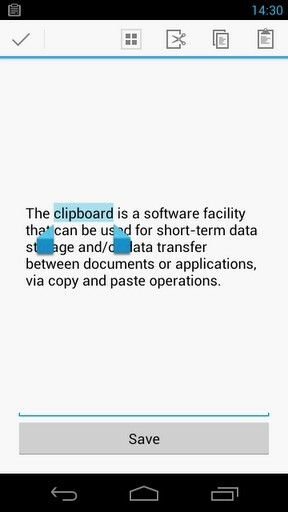 Though most Android users don’t spend a lot of time copying and pasting text around, having a clipboard manager comes in really handy for some. This is more applicable to users who work a lot of text on their Android device, mostly email junkies and even programmers. A clipboard manager is used to enhance the cut, copy, and paste functionality of the operating system by adding features like handling formatted text, saving copied data for long-term storage and more. Furthermore, a clipboard manager is good for copying multiple URLs from one window to another. 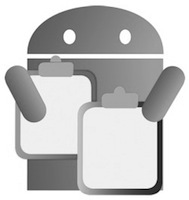 Clipboard Contents is another lightweight clipboard manager for Android. The app can read contents from the clipboard history so that they can be copied into the clipboard again. Then you can edit, delete, and even share the links. Furthermore, while sharing links you can also shorten them provided URLy is installed. The app automatically detects any links in the contents and provides relevant options so that you’ll be able to open or share them directly from the device. One of the best features of this app is that it integrates with the Google search bar making it easier for you to find stuff in your clipboard history. Also, it supports Google’s cloud backup and restore so that even if you format your device, you can easily access your clipboard history. Clipper Plus is by far the best clipboard manager app for Android. Loaded with dozens of amazing features, this app basically puts a normal clipboard on steroids. The app is stable, reliable, and works exactly as expected. Clipper sits quietly in your notification bar so that whenever you want to access it, you can simply swipe down across the screen and sees your copied text. You can clip unlimited amount of items and save them in lists. Also, you can search through them, append time and date, and more. Though Clipper Plus is a paid app, there’s also a free version of the app available in the Google Play Store. 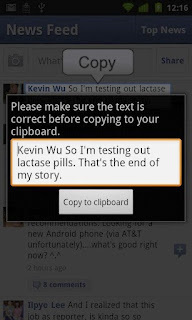 Copy Paste It is another clipboard app with some unique features in its repertoire. 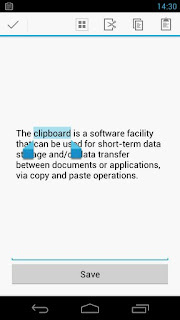 The app can copy text to clipboard using either on-board or network OCR recognition. You can start copying by shaking the phone, by long-pressing the search button, or by pressing the overlay button. The most important feature of this app is that it allows users to copy text from any screen. That is why the app might require root access on some devices. Though Copy Paste It is not free, it has received good ratings in the Play Store. aNdClip is a free clipboard manager that comes with data encryption and other features. The app can manage frequently used email addresses or set phrases making it easier to copy and paste data between different applications. Other features include folder management, pasting data on contacts, data encryption (AES), and more. There is also a paid version of aNdClip that features colors and also comes with some special features. 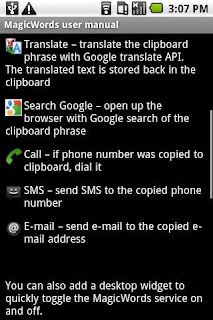 MagicWords is a useful clipboard application for your Android device. 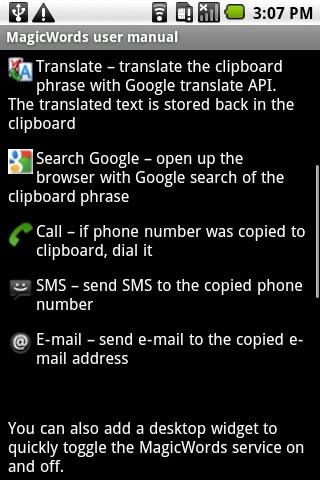 Besides saving your selected text, this free app can also translate text, search Google, and more. The UI of the app is pretty simple and doesn’t provide as many features as the other apps on this list. Moreover, the app can be a bit difficult to get used to, especially for new users. ClipNote is another clipboard manager that automatically saves anything that you select in the form of notes. 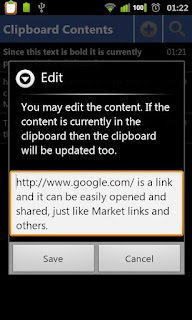 Though it doesn’t include many advanced features, it does, however, serve as a good clipboard manager for your device. New thing for Android and people will going to have more fun with Android..